To help your business succeed in getting recognised, Garment Printing offer bulk T-Shirt printing services which is designed to help your business achieve the recognition that it deserves. One of the main advantages of mass printing include cost-effective pricing, and quick turn-around times with the easy application of different methods such as screen or transfer printing. Printing in bulk is the most financially practical option for large-scale organisations. Our professional team of printing experts understands that printed clothing needs to be of the highest quality to represent the company that’s wearing it, and using printed clothing as a way of advertising your brand is one of the most cost-effective and best ways of advertising your company. 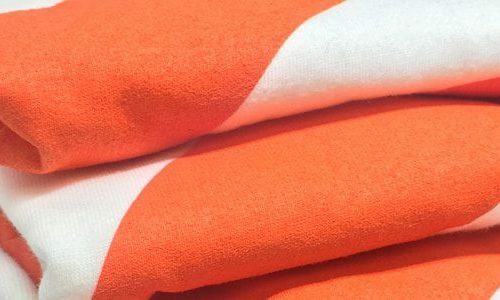 Our bulk T-Shirt printing service is the best in the UK and we can provide as few as 25 screen printed T-Shirts for your next event, or we can print thousands for the next festival or conference that you’re hosting or attending. Our service is also perfect for any competitions or mass-giveaways that you’re planning on holding. All orders are assigned to a dedicated account manager who will talk to you throughout every step of the printing process, from the start of discussing your needs with you, right up to making sure that your printed materials exceed your expectations and fixing any mistakes that may occur. Our dedicated account managers are experts in both printing and graphic design which means that they can ensure that your design will look as impressive on a T-Shirt as it does in your mind, and we guarantee the highest quality when it comes to our printing techniques and all of our products. With our next day T-Shirt printing service, we can get your order back to you in 24 hours! Whether you’re running a company, representing a sports team or if you’re working for a charitable organisation, we can offer the right products, printing techniques and service for you. So, if you need bulk printing services for your next event or to kit out your staff, get in touch with us now.